Instantly upgrade the look of your bathroom with the right set of bathroom taps. Posted By Edward, 17th Nov 2016. 3 Minute Read. 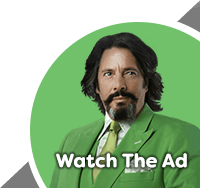 Jump to a section of this post by clicking a link above. It's a truth universally acknowledged that every new bathroom needs new taps: the challenge is to discover the perfect set for your bathroom. It is also true that there is more choice available now than ever before so making your mind up can be tricky. Choosing the right set is important because your taps can really help to complete the look you're going for and can even be a stand out feature of your bathroom in their own right. As well as completing the look of a brand new bathroom, new taps are an affordable way of upgrading the look of your current bathroom. 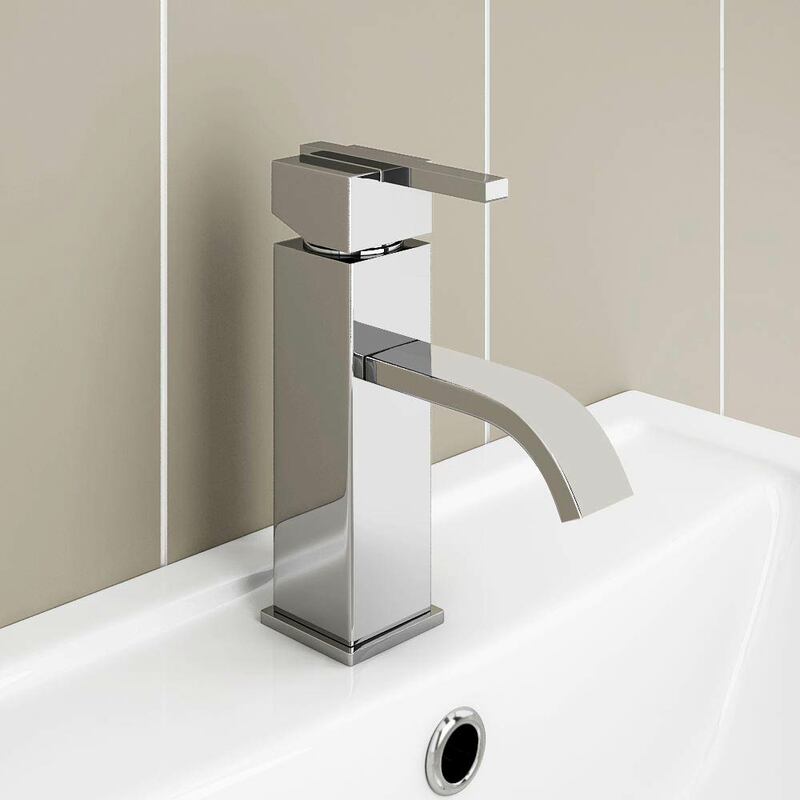 Basin tap prices on VictorianPlumbing.co.uk start from a very reasonable £12.95 so why not consider changing your taps as a way of freshening up the look of your bathroom? This is especially important if you are preparing to sell your house or if you have just moved into a new home and money is understandably tight. In today's guide we will take you through the different options available to you based on the type of tap you're after, from basin and bath taps through to space saving cloakroom taps and the beautiful freestanding examples. Basin taps are a great place to start when talking about bathroom tap ideas. A really popular choice is a monobloc mixer. Simply put, this is a single tap that mixes both your hot and cold water, the temperature is controlled by turning a lever left to right or up and down. There are some fantastic monobloc mixers on the market in both traditional and contemporary styles. 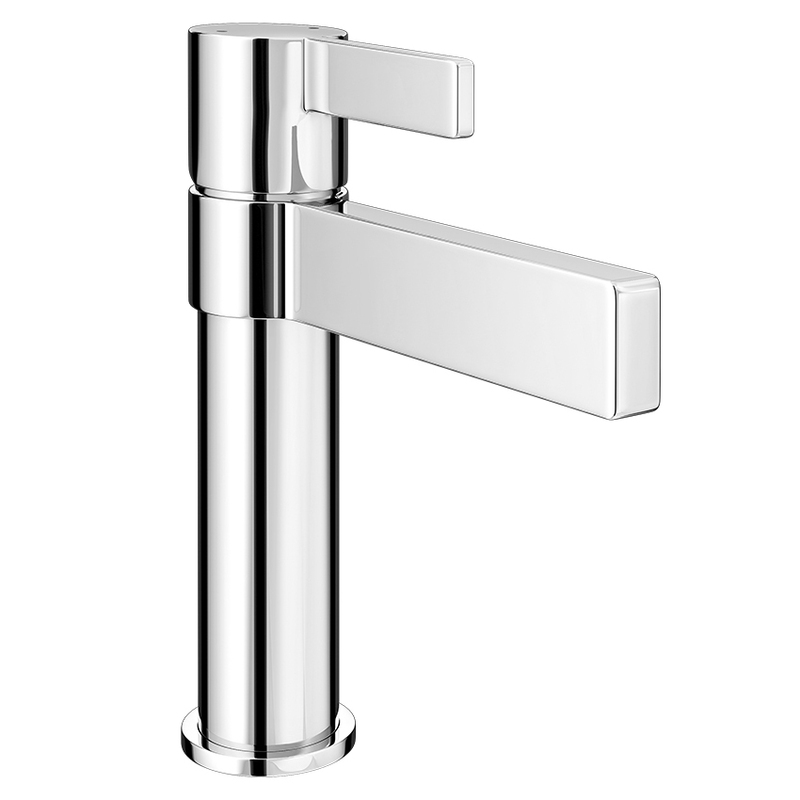 A nice contemporary option is our Milan mono basin mixer. 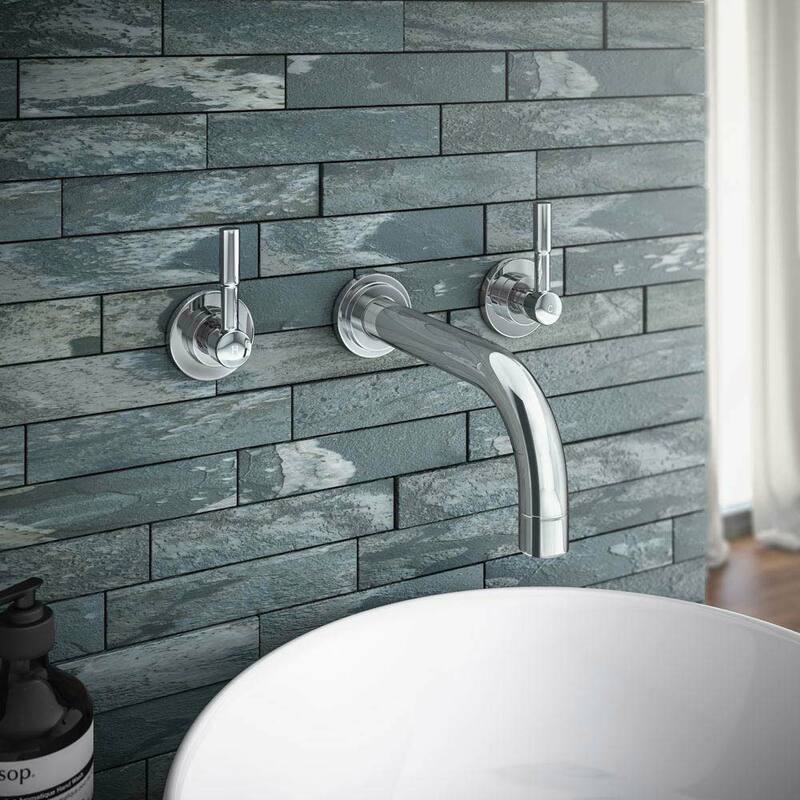 Another popular trend is waterfall effect taps. This elegant design can really add something to the look of your bathroom, especially in ultra-modern settings. 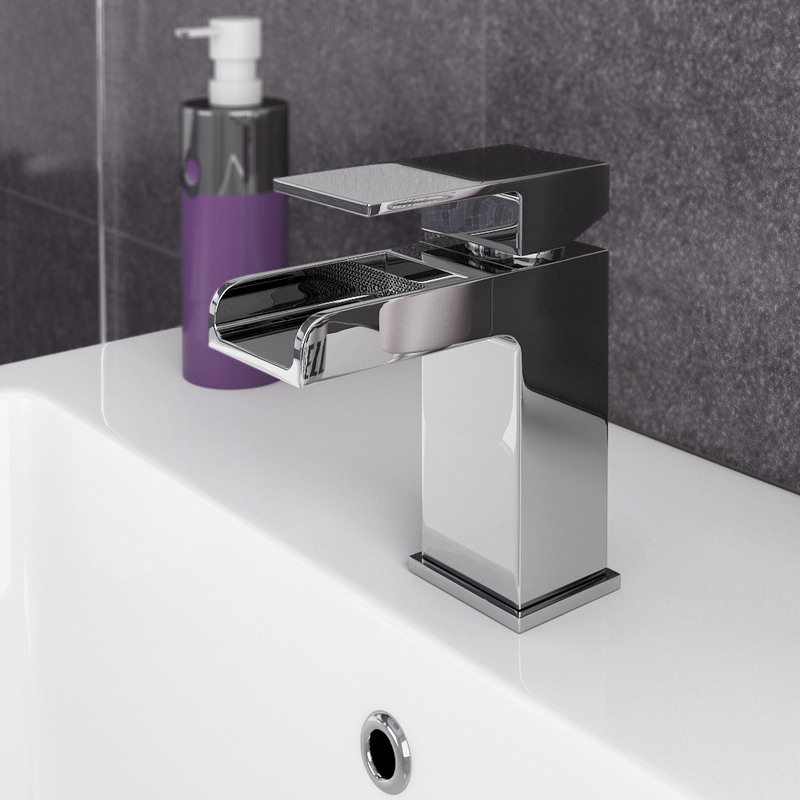 If you have your heart set on a more traditionally styled bathroom then a clever choice is to opt for a crosshead tap. These gorgeous traditional faucets perfectly complement vintage basins and period vanity units. If you're looking to move away from chrome finished taps you may like to take a look at our range of black bathroom taps. Black taps help to create an understated yet sophisticated vibe. 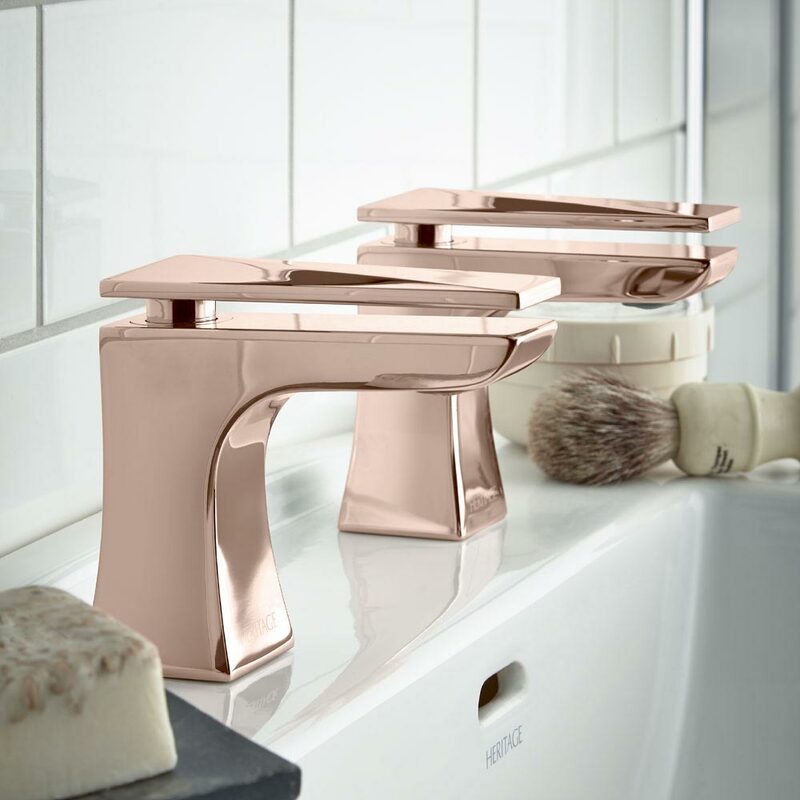 Gold and rose gold taps are other options for you to consider, rose gold in particular can have a dramatic effect, especially if you continue the look across your bathroom design. Another style of tap that has a distinct look is art deco taps. Inspired by the ever popular art deco movement; these taps can lend themselves to either a modern or traditional bathroom design. 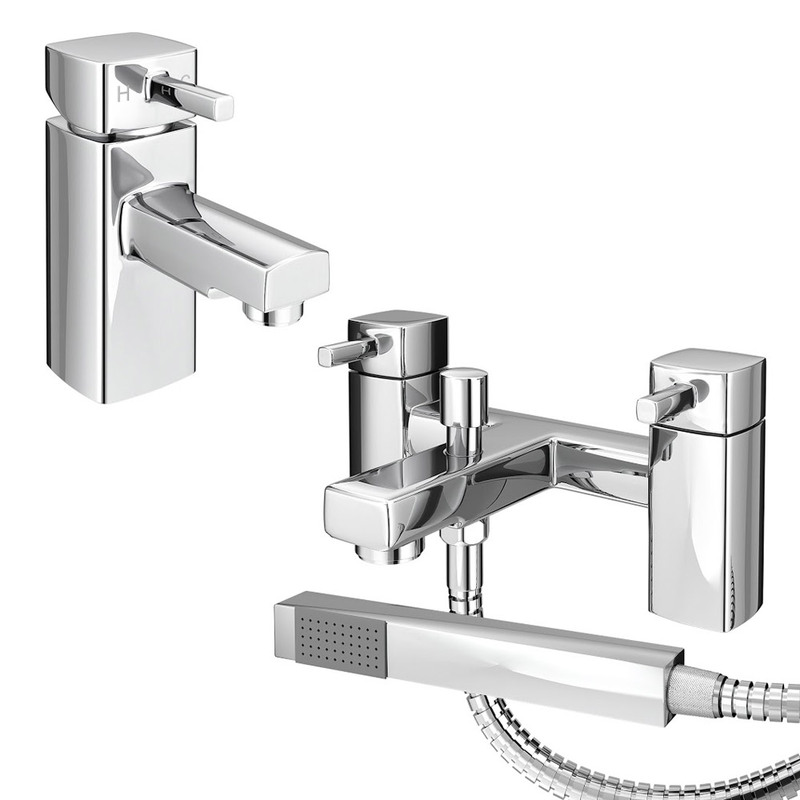 A really popular bath tap, similar to mono bloc basin mixer, is the two tap hole bath mixer. Again this style mixes both your hot and cold water together and is controlled by one lever so you can find your perfect temperature when you begin to fill up your bath. Another feature you can include with your bath mixer is a shower kit (sometimes referred to as a douche head/spray). This handy add on means that you now have a shower head to use while soaking in the bath. A nice bathroom design idea is to make sure you coordinate the look of both your basin and bath taps. When these two taps either match or complement each other then your bathroom will have a beautiful cohesive look. As you search our website you will see that a selection of our basin taps come with a bath equivalent. Buying both the basin and bath versions of the same tap is perhaps the easiest way to coordinate your taps and it is even possible to buy both taps for one price. 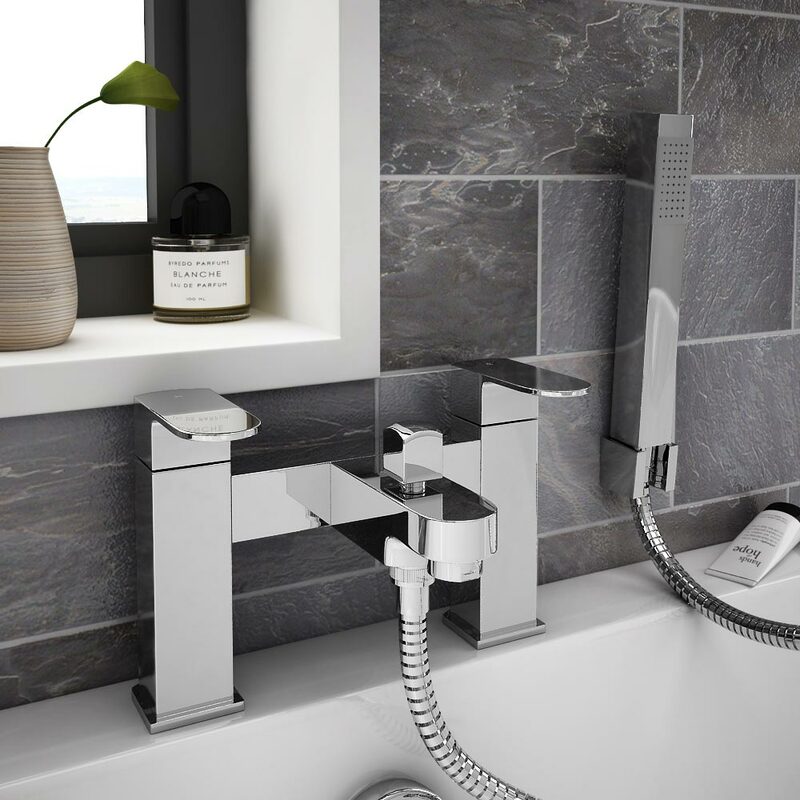 A great option is our Neo minimalist basin and bath shower mixer taps. When it comes to choosing bath taps for a traditional bathroom there are some fantastic options. A personal favourite of mine is our Lancaster bath shower mixer range that's available with either white or black handles. These regency inspired bath taps can make a real statement while also complementing other period features. Cloakroom taps are basin taps with a short projection profile that's ideal for the tight spaces of a cloakroom bathroom, ensuite or small guest bathroom. Cloakroom vanities, corner basins and two-in-one toilet & basins are the types of bathroom fixtures that require a space saving cloakroom tap. A minimalist cloakroom tap is a clever choice because extravagantly styled taps look out of place in such a small setting. An option that nails the minimalist look whilst also offering a distinct design is the Piccolo Mono Basin Mixer Tap. Having long been a trend in European bathrooms; wall mounted taps have been growing in popularity with UK homeowners in recent years. The advantages of going for this style of tap is its striking design, the integrated feel of having your pipework hidden inside your wall and the fact that you have more space around your basin. An achievable designer look is to couple a wall mounted tap with a counter top basin. A bold alternative to wall mounted taps is a wall mounted spout. These stunning fixtures use a flat spout or plate that allows the water to flow in a dramatic waterfall effect. Get ready for a few 'wows' from visiting house guests when they see your wall mounted spout in action for the first time. Freestanding taps are the perfect partner to a freestanding bath. 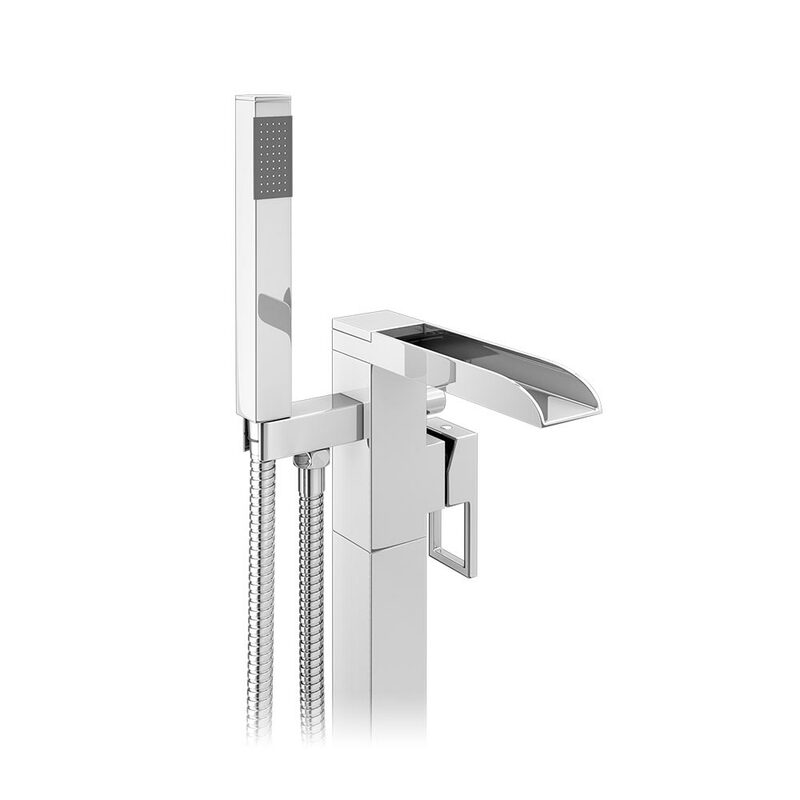 Plumbed straight into your bathroom floor and connected to the tap head via chrome plated brass pipes; freestanding taps stand proud of your bath and then arch over the bath edge in order to fill up your tub. Two tap options you should definitely take a look at if you're buying a freestanding bath are the modern Plaza freestanding bath shower mixer and the Regent traditional freestanding bath shower mixer. Both come with an additional hand held shower head. Another type of freestanding tap is a counter top tap, also known as high rise taps. These taps are plumbed into your bathroom counter and then come up tall enough to pour straight into a counter top basin. You may have seen this delightful counter top look if you've been lucky enough to stay in an up market hotel recently. If you like the idea of saving money as well as our environment then why not look into choosing a water saving tap. These clever taps use an internal filter or cartridge that splays the flowing water which in turn means you feel like more water is coming out of your tap than there actually is. 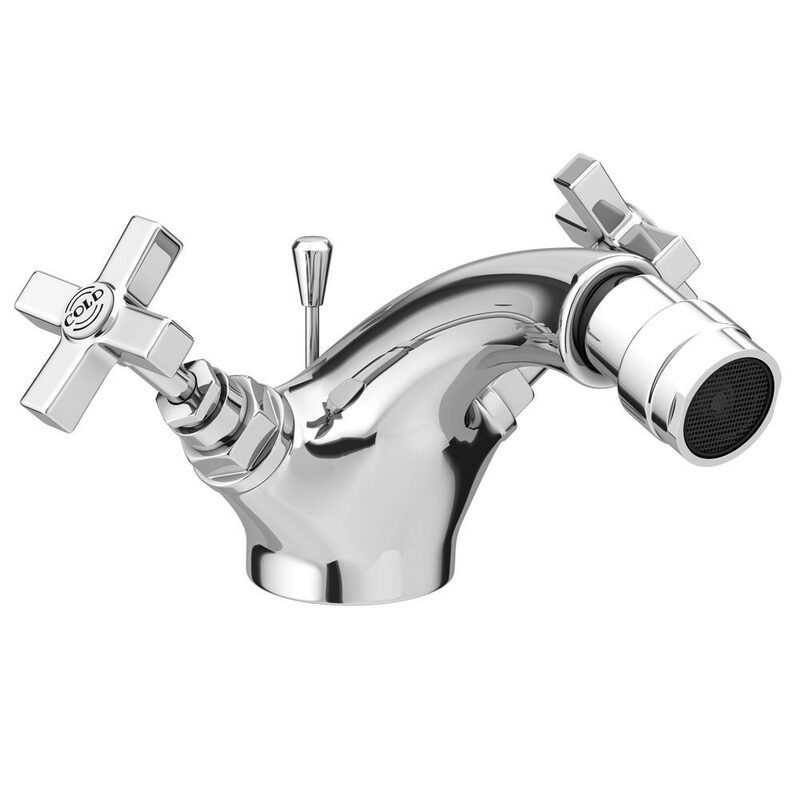 Check out our selection of water saving taps on our website from leading manufacturers like Adora, Bristan and Grohe. Bidets have been enjoying something of a revival in recent years and of course so have bidet taps. A nice touch when choosing your bidet taps is to make sure they integrate with your choice of basin and bath tap, as well as staying in tune with the rest of your bathroom design. We have lots of contemporary and traditional options to browse over on our website and they all come with an adjustable nozzle. 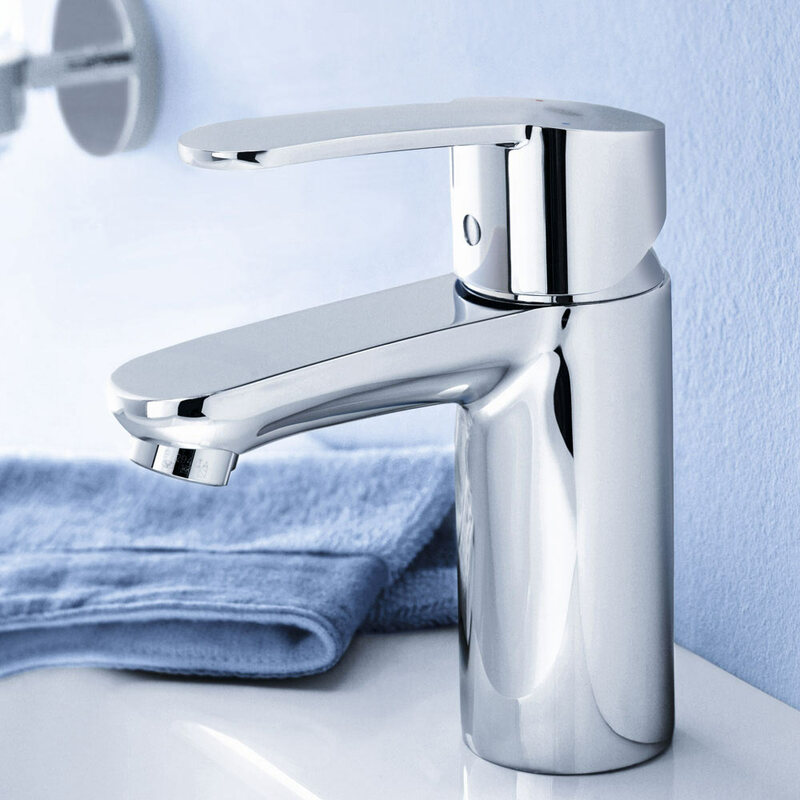 Thank you for reading our guide to choosing and buying the right set of bathroom taps. We really hope you feel more confident about the ideas you have for your own bathroom. As always please feel free to leave us a question in the comment section below. If you are looking to instantly upgrade your current bathroom with new taps then why not think about installing them yourself? Take a look at our handy step-by-step guides to replacing your basin and bath taps? Edward is one our bathroom bloggers here at Victorian Plumbing. Edward loves inspirational bathroom designs. When not writing popular 'How To' step-by-step DIY guides, he is posting buying guides that reveal his ideas on the latest bathroom styles and trends. We're pleased to announce that we're bringing you a new range of kitchen taps from Grohe.